Valentine's Day is coming, but any day is a great day to send a message of love! 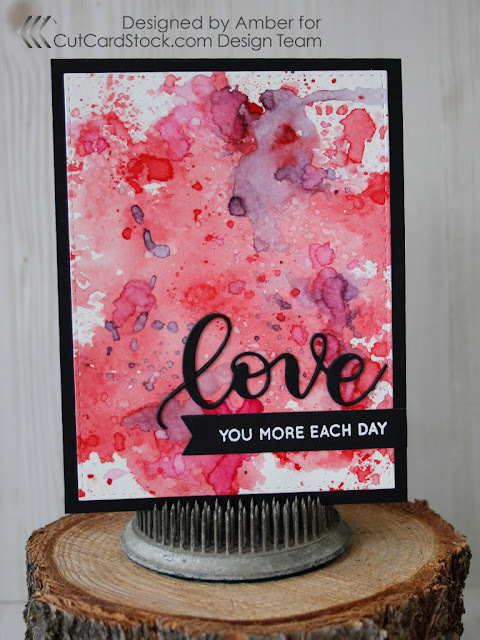 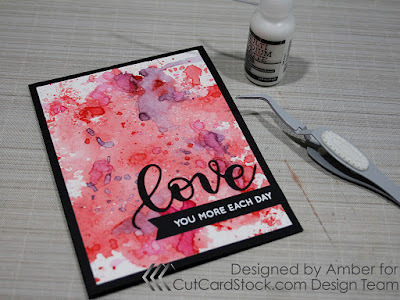 Today I'm sharing a card I made using Distress inks to create an ink splattered background. There are tons of techniques to create backgrounds and I wanted to try some random splatters created with acetate (simple plastic from product packaging) and some water. 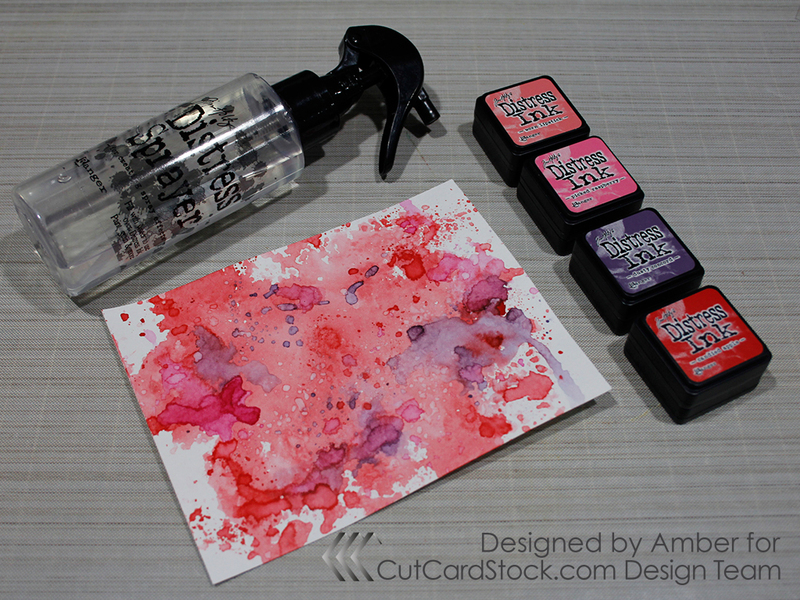 I smeared on a bit of ink onto the acetate sheet, sprayed water and then tapped it in random spots on my cardstock. I did each color individually and used the heat gun to dry the ink and water between layers. 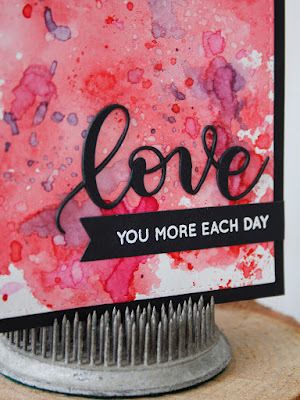 I cut out the finished background using a stitched rectangle and then placed it on the front of a top folding card base made from Basis black cardstock. 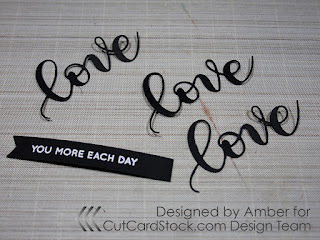 I then used the "love" die to cut the word out of the Basis black cardstock three times, and also white heat embossed the rest of the sentiment and cut it out with a banner die. I assembled the whole card and now I can share a little love!